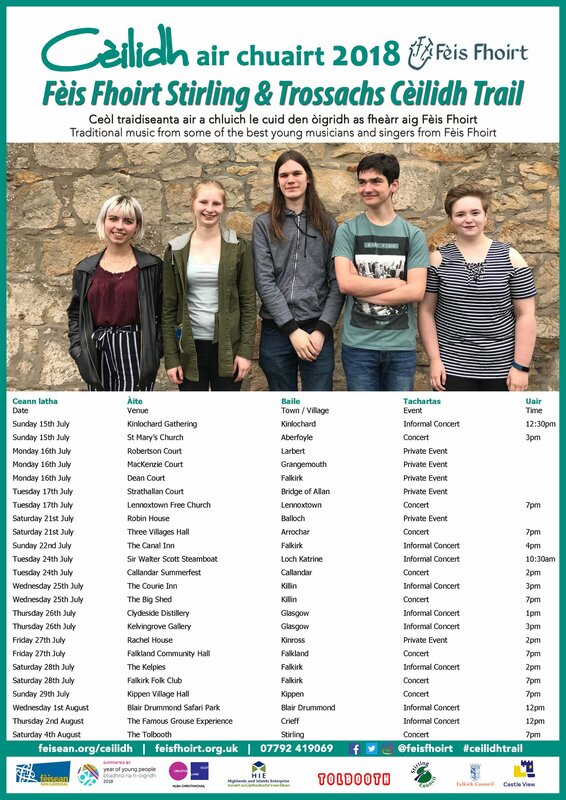 Fèis Fhoirt Ceilidh Trail is back on the road! Over 3 weeks in July and August we’ll be heading out and about Central Scotland, Falkland, Aberfoyle, Killin, Arrochar and more! Check out the poster for full gig listings.